Data Clinic’s NAS data recovery service has been going strong since 2005 and is widely used across the UK. NAS is an abbreviation for for Network Attached Storage. A NAS (Network Attached Storage) device is an external hard disk drive that is attached to a network and allows users of that network to connect and access the data held on it. Think of it as a big external hard drive that anyone on a network can use. 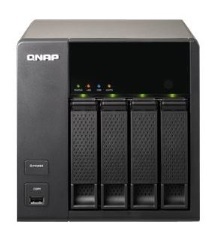 In it’s most basic form, a NAS can be a single hard drive, two drive models are common and use either RAID 0 or RAID 1. Three drive (and upwards) models are often found on company and busy home networks. These larger NAS boxes typically run in a RAID 5 configuration and store the data they hold across all the hard drives. NAS devices that run RAID 5 offer a degree of data redundancy – one of the drives in the NAS can fail completely without any loss of data, but a losing a second hard drive on a RAID 5 NAS will cause the entire NAS to fail and a data recovery service will be required. It’s important to note that NAS drives that use RAID 5 (and that’s most of them comprising of three hard drives and more) do not write their files sequentially on just one disk – instead files are divided into blocks and distributed across all the hard drives in the NAS. Thus if a NAS breaks and it’s data is required, it’s not a simple case of taking each drive and searching for the files and folders required – the results will be garbage as the data has been divided and written across all the disks. It’s therefore essential that you use a NAS data recovery company like Data Clinic who are able to reconstruct the missing data from all the hard drives and piece the files and folders back together again. This is not a simple task and requires a high level of skill. If you have a broken NAS device that contains valuable data you need to recover, we strongly advise against doing anything yourself to attempt recovery as doing the wrong thing at this point will often destroy any chance of data recovery from the NAS. NAS data recovery is often possible in most circumstances. NAS boxes are just one or more hard drive that are chained together, enclosed in an external hard drive casing and connected to a network. These hard drives are normal hard drive as can fail in all the same ways as any other hard drive. 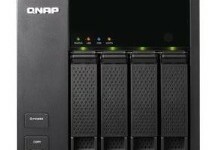 The added complication with NAS storage is that making the wrong decision will often cause partial or complete data loss. Do not attempt data recovery yourself, unless of course the data is of no value and making a mistake doesn’t matter. Multiple Hard Drive Failure in the NAS: Often the first time a hard drive breaks in a NAS it will go unnoticed because RAID 5 NAS devices are able to continue working with one failed drive. It’s the second drive failure that will cause the NAS to crash. To get the data back from a situation like this it’ll be necessary to recover the data from at least one of the hard drives. NAS Controller Failure: Sometimes the hardware that controls the hard disk drives can actually fail. Recovering the data from NAS devices with such an error is also not straightforward. It’s not a case of simply getting an identical NAS device and swapping the drives over as the disk order from controller to controller can vary and cause irreversible data loss. NAS Configuration Errors: NAS devices can loose their configuration settings which means they ‘forget’ how the drives they are writing and reading files and folders from are setup. Recovering a NAS with a config problem is a case of determining the correct configuration and writing it to the config file. Again, this needs to be done right first time or it will result in irreversible data loss. Do you have a NAS problem? For advice call us on 0871 977 2525 or use the contact form to the right to get in touch.